The only thing you remove with upscaling is the aliasing effect. The texture itself does not get any more details. Only repainting those can bring more details. Also the higher resolution just blurs the image more and more, which doesnt look good for my feeling. The thing in question: Does it pay the effort...? and altering the shadowlist of the equipment. The players save file is correct and the items are removed as intented. But somehow this does first apply if i reload the whole char (means log off and login again). I also have modified the equipments mount state before removing it (cause it still was shown in the cargo list) but to no avail. Does anyone of you has a hint to what i need to look at to apply the removed equipment in time without the need to reload the char? PS: I tried to replace the engine of a ship and in general it works that way, but as long as the char is not reloaded the two engines seems to be still alive - cause the ship speed is doubled at that time. Then this prints in system chat <Name>: hello. I tried to debug the SubmitChat and HkCb_SendChat functions. In SubmitChat the chat message is only what i type in the console. But in HkCb_SendChat the BinaryRDLReader extracts <Name>: followed by what should be the chat message. This behavior is different between debug and release dll, while in release it is not working, it does in debug. And in release its only working if i use 5 or more chars after the shortcut, e.g. /s. I looked through any changes within those two functions and others i made over the past months, but am not able to identify what could cause this strange behavior. Now has anyone of you a clue where i could look for, and why shorter messages than 5 chars with shortcut commands are not printed correctly into the console. Which routine adds the name to the extracted text from BinaryRDLReader in HkCb_SendChat while the name is not in the text in SubmitChat. Because i feel something in between those two is causing the misbehavior. Normally the extracted chat message in HkCb_SendChat does not contain the command itself again. Any hints are welcome. I am really clueless right now and dont want to implement something in HkCb_SendChat to remove shortcuts if they are still detected within the chat message there. As GetRadious takes an CObject pointer and a reference to a Vector (and a bool which doesnt play a role i guess) one of both seems to be null. As a reference cannot be null i assume its the CObject. I am not sure whether this is of any useful information. I would assume its a timing issue, where for some players something is not yet constructed or destroyed or something like this. You dont really need milkshape at all. An image editing tool to create your icon. When saved as DDS you need to flip the image, saved as TGA can remain normal order. You can use the model cloner tool to create a clone of an existing commodity icon, give it a unique new name, open up in UtfEditor, import the new icon and make sure the name and the node name match. ok reversed a bit more. Thanks Adoxa, the bool skip_autosave for me didnt work, at least it should be a BOOL - the bool takes no 4 bytes for me, hence i havent it in the following overview. The costume seems to be twice - no idea why - but in for me both contain the same infos. Well this is most if not all about Freelancer here. Barely something different. And its quite OK this way. I am coming here to get some news on developments of others, also about the modding. Also this here is no game server forum. Each mod has that on its own. We had this discussion already in the past. TSP cannot offer that for certain reasons and it wouldnt be in their responsibility at all. I prefer to come here for modding stuff. Thats what TSP should put its priority at. Or totally break and start something new. I wont visit TSP just if it becomes another game server site. 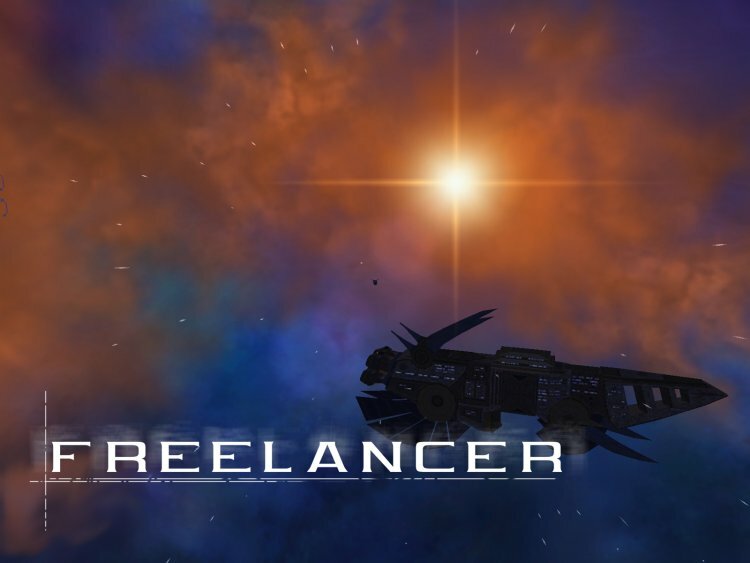 Clearly news about Freelancer are lacking, but that again is not solely the fault of the admins. There is a community and moderators who could do that. Same as for the rest. If someone wants to make a global event, start it on your own or ask for help to start it. I dont see why this has to come from the TSP admin team in first place and why it should run to their expense. I have found some more info on the the PlayerData struct, which i thought will represent so far. I am not sure whether the wszAccIdf is 40 or only 36 (x2) bytes big. At least the last 8 bytes from it were uninitialized cdcdcdcd pointers thought they belong to the account id field. I will try to verify that by further investigation, though if anyone else find stuff - could add it or correct it. Re: HkCb_GeneralDmg not called on shield damage? But i suspect thats not what your are looking for. At least in the last case the x_ruiShipId can be retrieved from the DamageList as far as i understand it. Isnt there the DamageList which you could use to obtain from whom the damge comes and who is suffering the damage? Or is that not your question? OK, thanks, i will look for an error in our formation definitions. Thanks for the hints. If not i need to get deeper into debugging and set breakpoints at some addresses. Maybe i could track which of the formations is corrupt. Ahoy, i am trying to figure out a crash thats happening quite often in the dacom and i have no idea how i can find out about the reaon, hence i am posting here. Maybe someone from you has an idea. 065b5e6c 0fb60e movzx ecx,byte ptr [esi] ds:002b:0a0f18e4=?? So "NOTHING" is only contained in some mission files, as state_graph but i dont see why this is used here. And i have no idea where to start looking for an error, in zones, npcs, missions, fuses. I am even not sure how i could avoid that crash with a server patch. So any info you might throw in is very much appreciated. If you need any more info i could contribute, dont hesitate to ask me. Sorry, no idea anymore, that topic is way too old for me to remember.